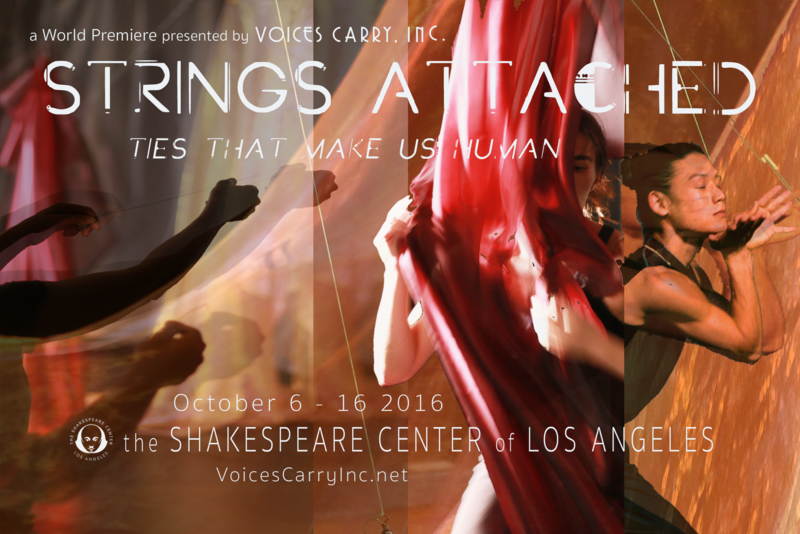 Voices Carry, Inc. will present the World Premiere of Strings Attached, a multidisciplinary project, involving contemporary dance, abstract puppetry, an original score, and performance art, for two weekends opening on Thursday, October 6, 2016 at The Shakespeare Center of Los Angeles in Downtown LA. The work, which has been in development for three years, is a window into the human capacity to love, with a focus on the universal feelings of grief, forgiveness, devotion, entrapment, and joy. Voices Carry, a nonprofit corporation guided by Artistic Director Madeline Leavitt, is dedicated to breaking down cultural barriers and embracing diversity through dance, theatre, and performance art. The production will run from Thursday, October 6th to Sunday, October 16, 2016 at The Shakespeare Center of Los Angeles at 1238 West First Street, Los Angeles, CA 90026 (www.shakespearecenter.org; 213-481-BARD; map). Tickets, available online at stringsattached.brownpapertickets.com as well as at the door, are $30 for general admission and $15 for students/seniors (60+)/Dance Resource Center members. Ticketing phone number is 310-710-7613. 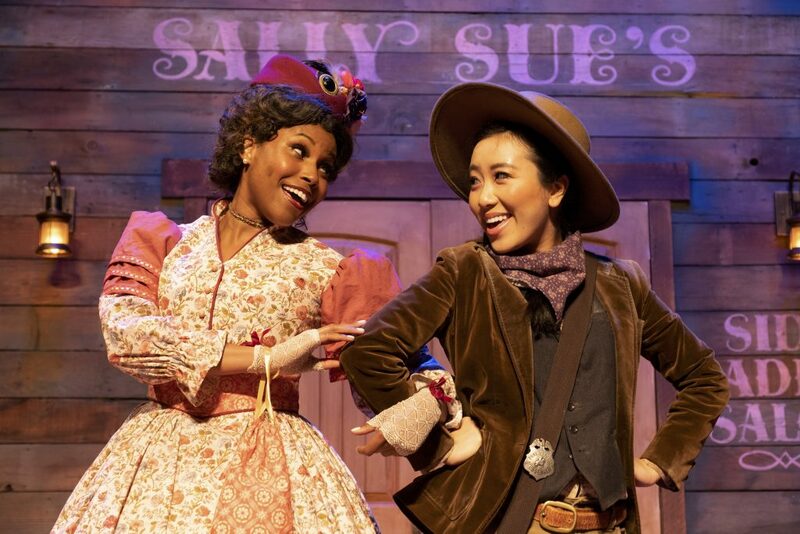 The sixty-minute performances, with no intermission, will start at 8:30pm on Thursday, Friday, and Saturday night, and at 7:30pm on Sundays – on both weekends. Doors open 30-minutes before performance times. The performance is suitable for ages 12 and up. Venue is wheelchair accessible and valet parking will be available. For more information, please visit http://voicescarryinc.net and https://www.facebook.com/events/1114756268581978. Under the guidance of Artistic Director Madeline Leavitt, Strings Attached is a cross-genre project, involving contemporary dance and abstract puppetry, which explores the deeply complex, challenging, and emotional layers of love. At its worst, love can be lonely, crazy, and illogical. But, at its best, love can be a true inspiration. “For many of us, direct human contact has been lost, people have become disconnected with each other… this work is about finding the path back to true human interaction and real emotion,” says Leavitt. In development for three years, Strings Attached focuses on the universal feelings of grief, forgiveness, devotion, entrapment, and joy to create a tapestry of love. Each emotion/character in the piece is represented by an abstract puppet. Through a series of vignettes, the dancers intertwine with the fragmented emotions represented by the puppets through the choreography. Puppetry allows for the serious subject matter, which explores life’s most complex challenges, to be addressed in a nuanced space where light and shadow mingle, much like the simple yet poignant poetry of a child – uncensored and pure. The dance choreography and story development in Strings Attached is by Christopher Bordenave. Ariel Blumenthal, who has worked with Leavitt on two past productions, is once again composing an original score. Lisa D. Lechuga, in collaboration with Evan A. Bartoletti, designed the puppets, puppet vocabulary, and movements. Bartoletti, who has worked with Leavitt since 2001, is the production designer. Costume designs are by Stephanie Petagno and lighting designs are by Matthew Johns. The production features five dancers from No)one. Art House. Dancers are Nia-Amina Minor, Junji Dezaki, Brenna Dwyer, Raymond Ejiofor, and Annalee Traylor. Puppeteers are Marie Bergenholtz, Hsuan-Kuang Hsieh, Drew McCourt, Lisa McNeely, Elizabeth Nankin, and Monti Silva. Presented by Voices Carry, Inc.
Madeline Leavitt is an eclectic stage director, choreographer, and producer. Her work expands the boundaries of dance and musical theatre by combining different forms of movement with the use of multimedia. Previous productions include Eating Rocks for Hunger (2009) at Miles Memorial Playhouse in Santa Monica, as well as Holding Up the Sky (2003) and The Bride and the Brothel (2001), both at Gascon Center Theatre in Culver City. She was also the director, choreographer, and producer for Santa Monica Alternative School House Theater Arts Program for nine years, where she mounted fifteen productions. Leavitt was the co-director and choreographer for Ishvani Dance Company, which performed classical dances of Southern India (Bharata Natyam) combined with theatre pieces. For her work with Ishvani Dance Company, Leavitt was chosen by the California Arts Council as an artist-in-residence. Leavitt was also the artistic director for The Mother Wrappers, a women’s theatre company that combined comic and Felliniesque sensibilities to the portrayal of women’s issues. She was also the director, choreographer, and producer for the premier avant-garde theatre group Angels of Light Theatre Company. The San Francisco Bay Area Critics Drama Circle nominated Leavitt for “Best Principle Performer” in the production of Holy Cow. Leavitt’s influences include Judith Jamison from Alvin Ailey Dance Company, Martha Graham, Rudolf Nureyev, Pina Bausch, Federico Fellini, Satyajit Ray, Hanne Tierney, James Thierrée, and Victoria Thierrée Chaplin. Christopher Bordenave was born and raised in Los Angeles, CA. Upon graduating from high school, he went on to study at The Ailey School and the LINES Ballet School, acquiring his BFA in Dance. Bordenave has performed the works of Nacho Duato, Stijn Celis, Alonzo King, Idan Sharabi, and Gustavo Ramirez Sansano, with numerous companies throughout the U.S. and abroad. In 2014, he co-founded No)one. Art House, an organization that promotes and produces quality interdisciplinary arts throughout the greater Los Angeles area. 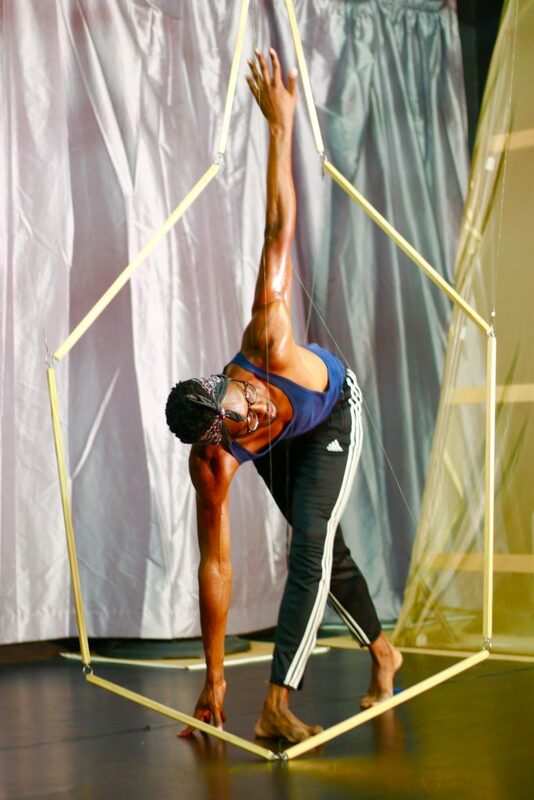 Additionally, Bordenave acts as repetiteur for the works of Gustavo Ramirez Sansano and is a freelance choreographer in the Los Angeles area. Ariel Blumenthal is a composer and music producer who is committed to creativity and innovation. Winner of the Chicago Symphony Orchestra composition competition, Blumenthal has written for the San Diego Master Chorale, the Israeli Philharmonic Orchestra, the Taiwan National Symphony Orchestra, the Jerusalem Symphony Orchestra, and soloists Avishai Cohen, Tomer Yariv, Gilad Dobrecky, Avi Avital, and Ittai Shapira. As a partner in broadcast music house Creative Music Assets, Blumenthal has worked with Fox International Channels, Tokyo Broadcasting System, National Geographic Channels, Keshet International and other producers/broadcasters in the international market. He has written for films in the U.S. and Israel, and had placements in The Heat (20th Century Fox), American Idol (Fox), and The Other Guys (Sony). Blumenthal created a permanent 3D, immersive music installation for the Plaza Hotel in New York. He also created a 3D environment for Ptero Dance’s Los Angeles production H2~Eau. Blumenthal is affiliated with the America-Israel Cultural Foundation and is a BMI and ACUM composer. Designer Evan A. Bartoletti’s award-winning scenic designs are created for the stage, screen, opera, and dance events. He offers up a unique style that enhances visual storytelling and enriches the audience’s imaginings. His background in fine art, as well as experience as a founding member and production designer for theatre fofo, established his skill set based in creative concepts and collaboration. Bartoletti’s projects range from world premieres of Dinner at Home Between Deaths (Odyssey Theatre) and The Engine of Our Ruin (Victory Theatre) to the West Coast premiere of Enter Laughing at the Wallis Annenberg Center for the Performing Arts. He also designed productions of musicals Dreamgirls and Chicago at North Shore Music Theatre in Boston. As a guest designer, he worked on productions of Amadeus, South Pacific, Les Misérables, and Rent for the Los Angeles Philharmonic and the Hollywood Bowl. Bartoletti previously worked with Leavitt and Voices Carry on the original musical The Bride and the Brothel, as well as dance projects Holding Up the Sky and Eating Rocks for Hunger. Bartoletti has received design awards from LA Weekly, Drama-Logue, Backstage West, and the Los Angeles Drama Critics Circle. He has a BFA in Fine Art from UCLA. He and partner Lisa D. Lechuga comprise Lechetti Art & Design. Lisa D. Lechuga, has worked for over 20 years as a designer and artist. Lechuga’s set design work has led to successful productions such as Treasures of The Walt Disney Archive, five seasons with the Hollywood Bowl including: Rent, Les Miserables, Guys & Dolls, South Pacific, and Amedeus, as well as various productions at UCLA. Lechuga has volunteered for over 10 years with Virginia Avenue Project, a youth at-risk theatrical program as a mentor and prop maker, and as a guest designer and instructor for The Global Theatre Project and Creative Corps. Lechuga is thrilled to be collaborating again with Leavitt. They have been working on Strings Attached for over three years, Lechuga as assistant producer, designing the puppets with Evan A. Bartoletti, and sculpting the content of the story. Lechuga and Bartoletti have previously collaborated on other puppet and mask making creations for P.S. Productions in Las Vegas and Deaf West Theatre, in addition to giant puppets for theatre fofo. Together, they comprise Lechetti Art & Design. In her spare time, she dances hula and works on her fine art as a ceramicist. She studied fine arts at California State University, Long Beach and received an MFA in Theatrical Scenic Design from UCLA. Matthew Johns is a lighting and media designer based in Los Angeles. He designed the West Coast premiere of Rajiv Joseph’s The Lake Effect (TheaterWorks) and the world premieres of Lauren Yee’s In A Word (SF Playhouse), Stacie Chaiken’s The Dig (LATC), and Chad Eschman’s The Memory Tax (off-Broadway). In 2014, he designed the immersive video installation for the premiere of Balbinka Korzeniowska’s film Awaken and is currently the production designer of the short film Never Stop, with frequent collaborator Chad Eschman. Johns is the resident lighting designer at REDCAT in Downtown Los Angeles and received an MFA from UCLA’s School of Theater, Film, and Television. mattjohns.com. Voices Carry, Inc. is a nonprofit corporation dedicated to breaking down cultural barriers and embracing diversity through multidisciplinary dance, theatre, and performance art. The organization is committed to creating original works and providing provocative storytelling. Productions explore personal, cultural, and global subject matter. The Shakespeare Center of Los Angeles, a tax-exempt, nonprofit corporation, enriches and nurtures personal growth, professional development and social change through engaging and accessible arts experiences inspired by Shakespeare’s plays and poetry, with a special focus on empowering underserved youth and veterans.